Buying new Revolution Performance Big Bore Cylinders? Sending your heads, crank and cases for modification? 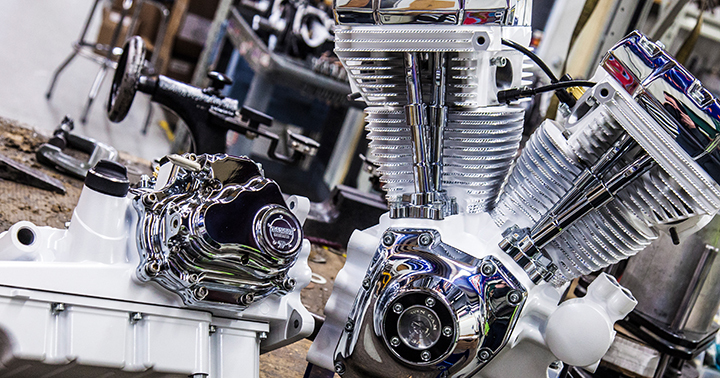 Why not have Revolution Performance assemble a complete engine? Save time and money while having the confidence that your engine was assembled by pro’s. The Revolution Performance Engine Assembly Service is available for everything from stock rebuilds to complete Monster Motor builds. 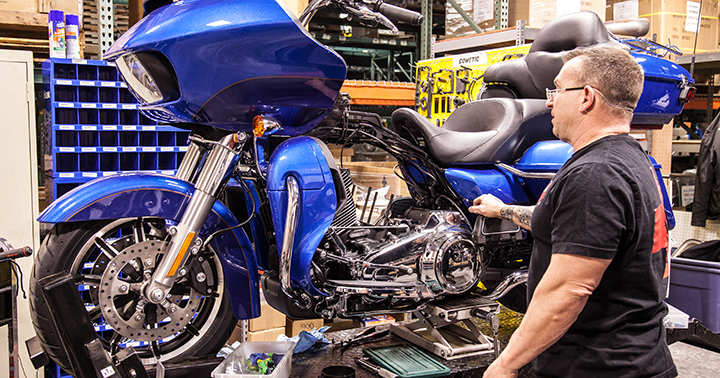 A natural extension of our modification, manufacturing, and development capabilities, our Engine Assembly Service is for the customer who doesn’t have the time or resources to build the perfect American V-Twin. Revolution does all the work start to finish. Deliver your bike to our facility in beautiful Plymouth, WI either in person or by a shipping service. After an extensive consultation, we will remove, disassemble, clean, inspect, build, reinstall, then tune your new engine to perfection. When you see your bike again, its ready to ride! Revolution Performance can build (or rebuild) your complete engine. We will disassemble, clean, inspect, and then reassemble to your specifications. Stock rebuild or custom big bore, we will send your complete engine back, ready to reinstall and tune in your chassis. Includes install of cam chest, pushrods, and rocker boxes. We can assist with shipping! You bought new Revolution Performance Big Bore Cylinders and you sent your cases, crank, and heads for modification, but not the rest of the engine. 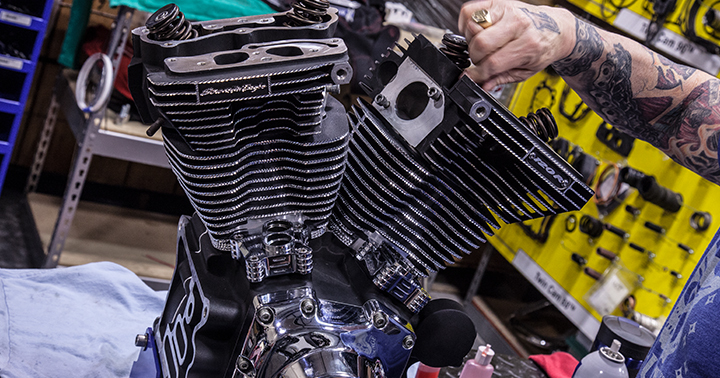 Let us assemble the long block assembly so you only need to add the details when you get your engine back. Does not include cam chest and rocker boxes. We can assist with shipping! How bad is it doc? Revolution Performance will disassemble, clean, evaluate your engine and then generate a complete quote for the repair . If you decide to go in another direction, you are only committed to the evaluation service and return shipping. If you decide to go forward with the build, the evaluation is included in the build cost. Note: This price does NOT include models before 1984. 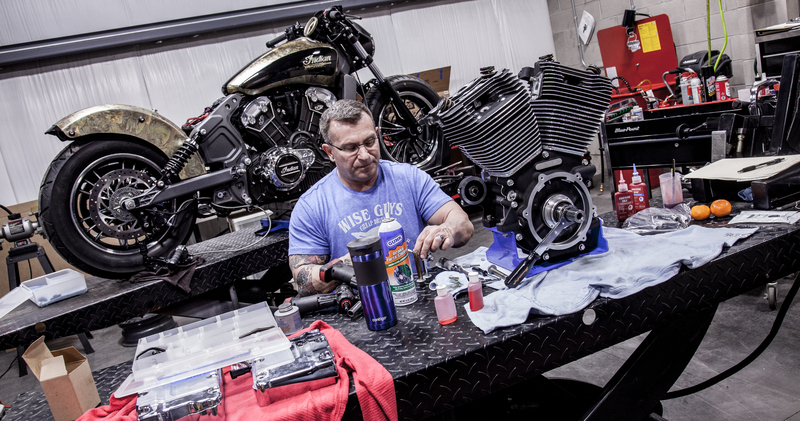 Note: If we are not tuning your bike, you will be responsible for all tuning after your engine build is complete.